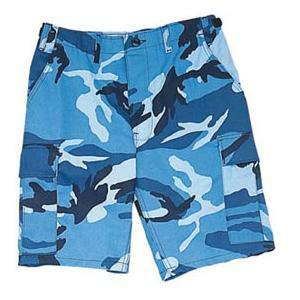 These BDU shorts are made of 65% Poly 35% cotton twill. They have six pockets, button fly, and adjustable waist tabs. Import.